The OpenStack marketplace provides a list of OpenStack public clouds, a few of which enable the user to launch an instance at most one hour after registration. Enter Cloud Suite has a 2GB RAM, 2 CPU, 40GB Disk instance for 0.06 euros / hour (~40 euros per month) and there is no plan to provide a flavor with only 1 CPU instead of 2 CPU. The nova, cinder and neutron API are available. HP Helion Public Cloud has a 2GB RAM, 2 CPU, 10GB Disk instance for 0.05 euros / hour (0.06 USD / hour) (~40 euros per month). 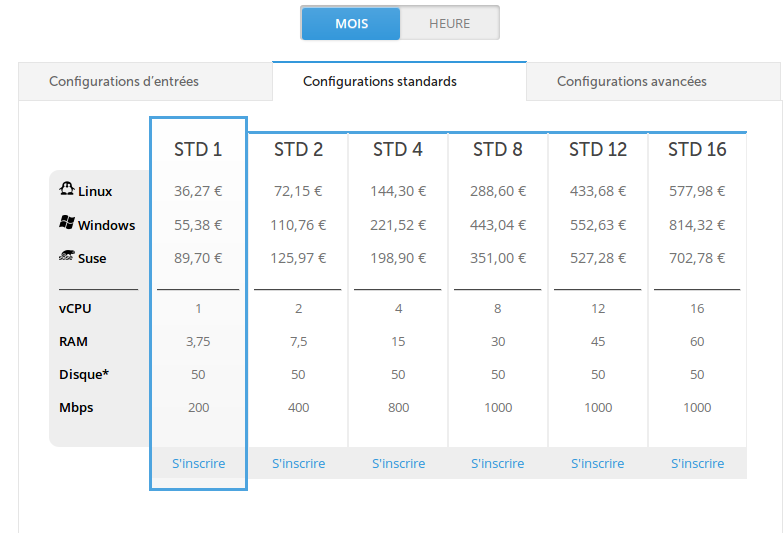 OVH has a 2GB RAM, 1 CPU, 10GB Disk instance for 0.008 euros / hour (~3 euros per month). The nova API is available, not cinder nor neutron. 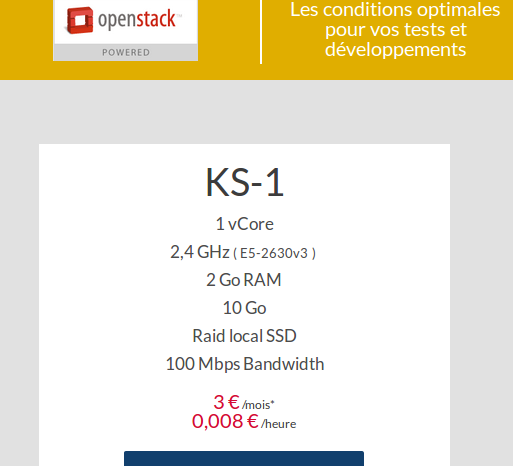 Rackspace has a 2GB RAM, 1 CPU, 10GB DIsk instance for ~40 euros per month (plus ~50 euros / month service fee, regardless of the number of instances). The nova and cinder API are available, not neutron. 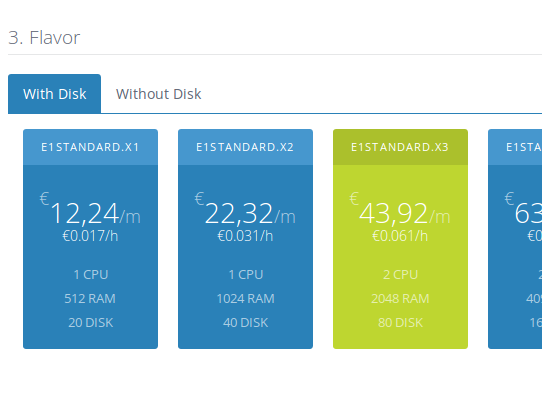 DataCentred has 2GB RAM, 1CPU, 40GB Disk instance for ~40 euros per month. 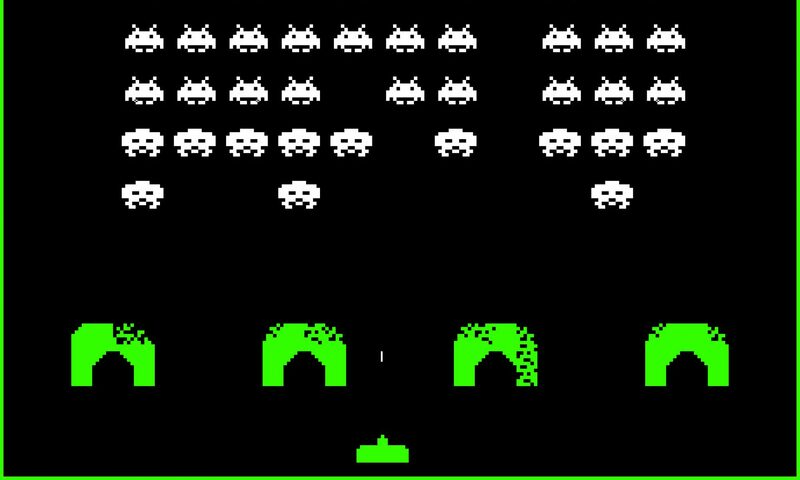 The nova, cinder and neutron API are available (but the router quota are set to zero by default). There are 2GB RAM, 1CPU, 40GB Disk AARCH64 instances for ~80 euros per month. 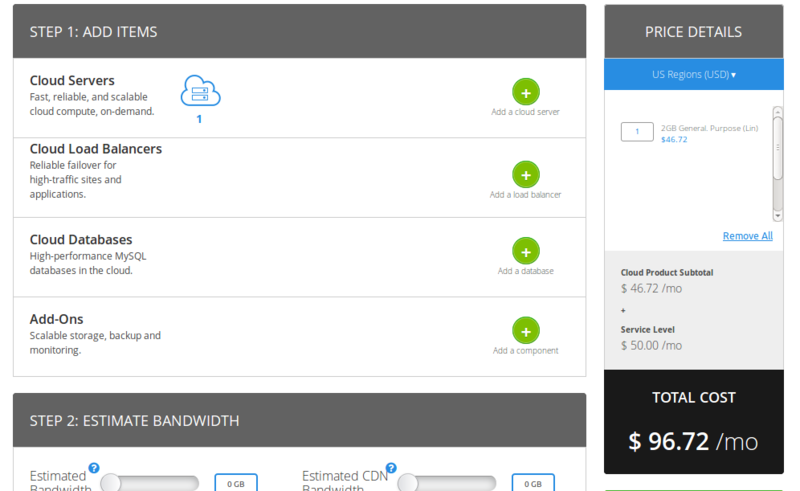 Cloudwatt has no 2GB RAM instance but a 3.75GB RAM, 1CPU, 50GB Disk instance for ~35 euros per month which makes it less expensive than all but OVH. The nova, cinder and neutron API are available.